The album's coherence comes in its incredible architecture of all these ideas, and the way the band sells them with everything they've got, taking what could be incredibly obtuse music back into the realm of pop from which it was born. Having a great record collection and having some idea what to do with it are two different things, and on We Are The Ambassadors Foxygen have internalized enough of the music they love to start toying with it. 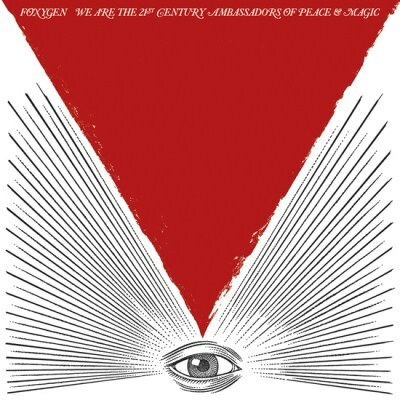 With We Are The 21st Century Ambassadors of Peace and Magic, Foxygen is a breath of fresh air, reviving a vintage style of songwriting in a new and creative fashion. What’s most impressive about 21st Century is that there’s nary a dud in the bunch, a difficult feat when it comes to making modern pop music that lives mostly in the past. It's a bit frantic, but always spot-on; the band nails each retro style closely, and yet manages to channel them all into one new vision that's wholly Foxygen. 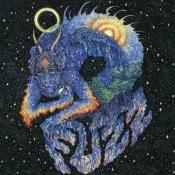 The result is a bewitching concoction of psych rock thrills, melodic pop and an untrammelled desire to explore rock's freakier boundaries. Foxygen have managed to spray every shade from their bizarre, Technicolor imaginations onto a record that bursts with lovable eccentricities, but never tries too hard. It’s a rewarding mixture of romance, wit and fantasy. It was a fun journey, and the band, almost brazenly, handpick all the elements they like and meld them into something that feels like their own. Though the songs are a bit scatterbrained, France and Rado leapfrog traditional genres with youthful confidence, none of which sounds contrived. For a band that just started writing pop songs, this sophomore LP is an impressive outing. Daft but smart, traditional though strange with it, shaggy n’ scruffy, simple yet poignant, laugh-out-loud funny and hip but reassuringly dorky. They may not be the highly innovative band that people crave, but they have achieved great success channelling their influences into their very own sound. Nostalgia is very in right now, and people love remembering their sepia-toned youth/pretending they remember the ’80s, but sometimes Foxygen sound rather too much like they’re doing covers of their Dads’ collection of dusty LPs. this album is something special. a definitive moment for indie-rock, definitely. Purchasing We Are the 21st Century Ambassadors of Peace & Magic from Amazon helps support Album of the Year. Or consider a donation?